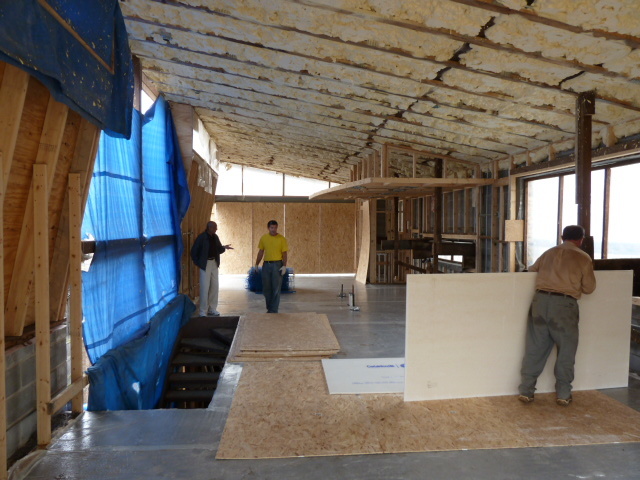 We placed the upper floor concrete a few weeks ago which will serve as the finished floor for the Kitchen, Dining Room, and Living Room. 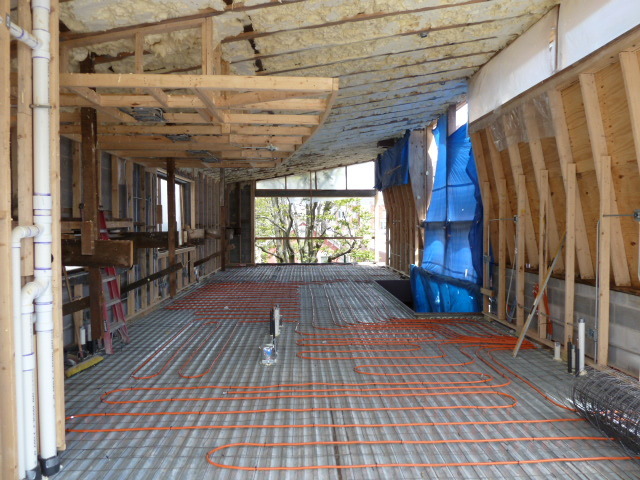 The floor was lined with tubing for radiant heating AND cooling through-out the floor. 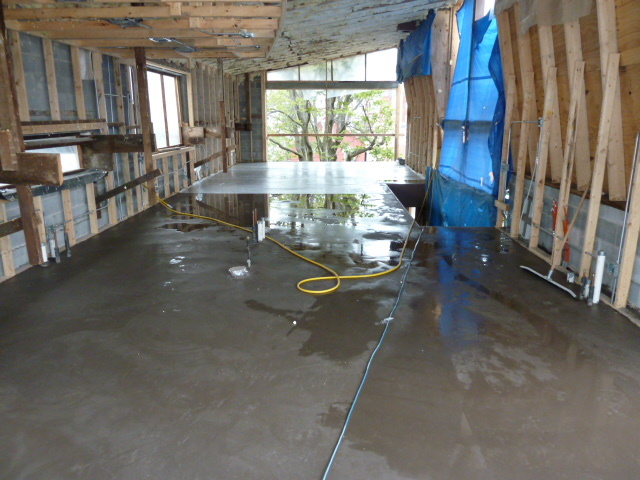 The concrete contained integral color. It was supposed to be ‘charcoal’, but turned out to be more of an ‘eggplant’. At first this was a concern, but the color has grown on us, and as luck would have it is going to be an even better color for the space. Whew! This entry was posted on Monday, June 7th, 2010 at 8:37 am and is filed under Uncategorized. You can follow any responses to this entry through the RSS 2.0 feed. You can leave a response, or trackback from your own site.